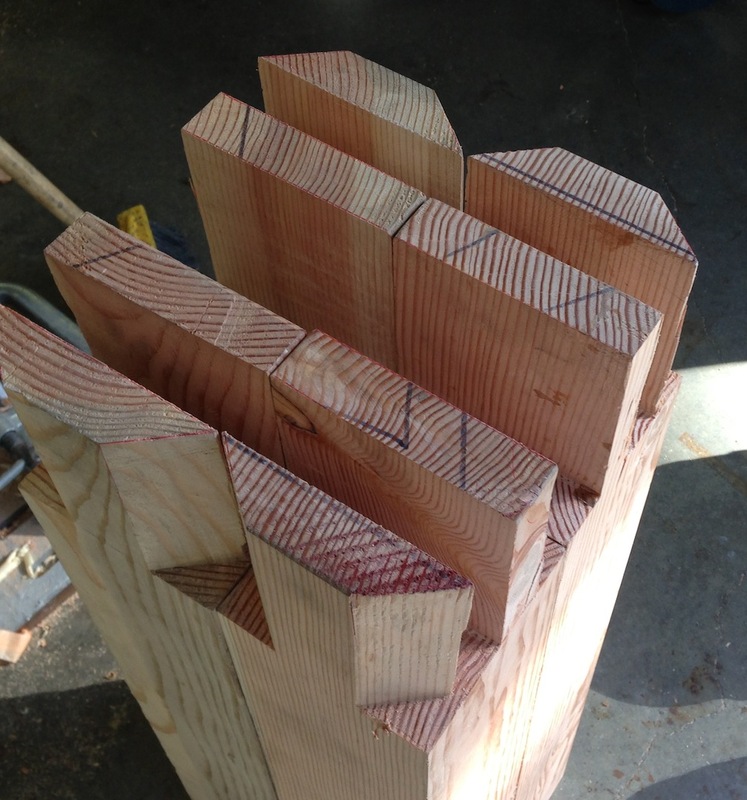 I cut all of the joinery on my workbench legs, with only one major problem. 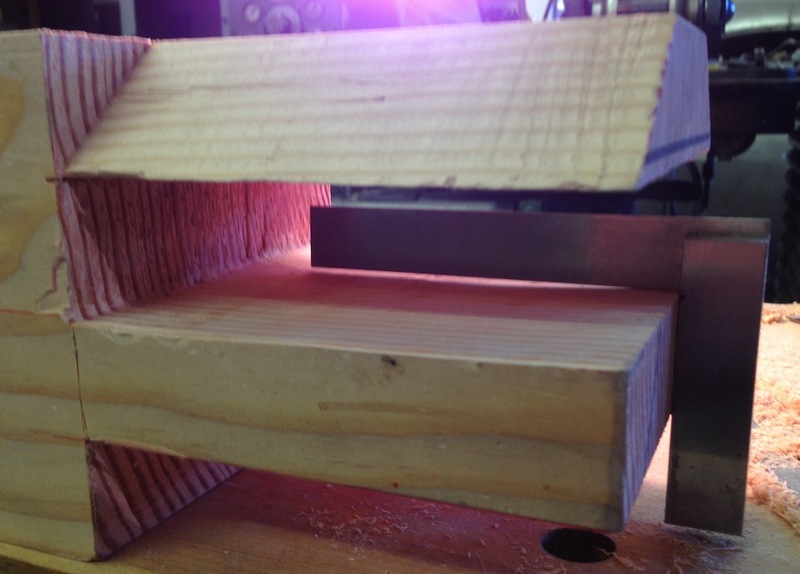 One of the inside tenon faces had some extra material, which I tried to pare off. It split badly instead and left something of a mess. I have been using a float-like file for tuning up these inside faces, I should have stuck with that. I used it to smooth up the torn out area so I could see what I had to deal with. Not pretty, eh? I thought about just bringing the outside edge down to the same level, but that would have leave the tenon too thin visually — closer to the front edge the taper was even worse. So I decided to glue in the shim and re-shape the tenon face. 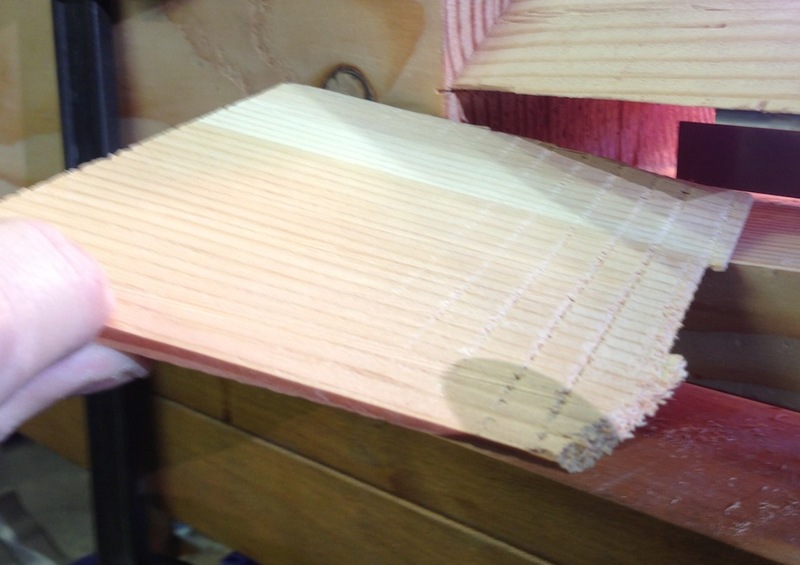 I sawed off a thin slice from one of my offcuts and planed one face smooth. Then I slathered everything up with a healthy dose of Titebond III and left it clamped overnight. 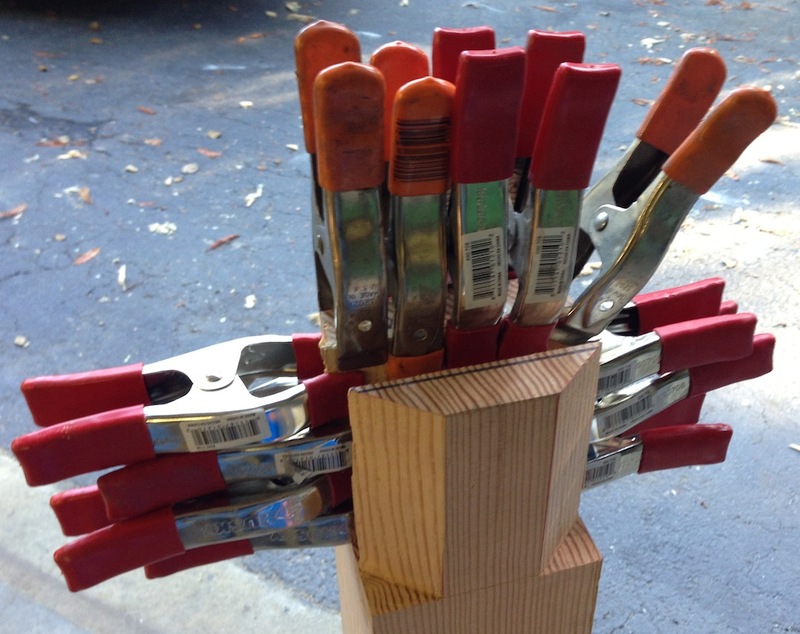 I had enough clamps, how often does that happen? Then I went to town with my float and smoothed out the face. It’s flat and true now. The repaired tenon came out great, and the thickness is right on the money. 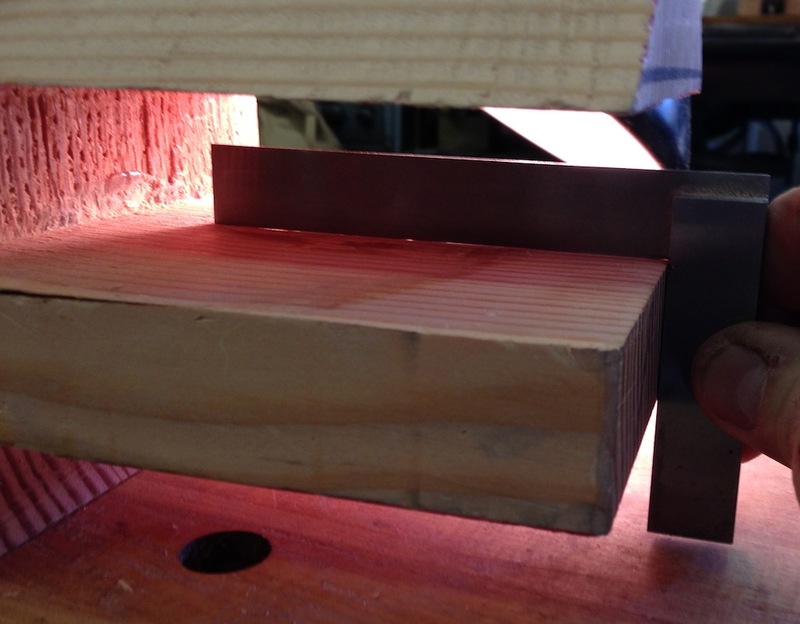 One of the other tenons came out about 1/8″ thinner than the rest – but it’s square and flat. I think I’ll use wedges from the top (and a slightly oversize mortise just on the top 1″ or so) to make up the difference visually. I think I’m OK on strength either way. Next I need to square up the stock I have for my stretchers, then I’m blocked on the bench until I can con someone into coming over to help me lift the bench top onto my temporary workbench. And isn’t that all going to disappear into the joint? No one will ever know .. wait, that’s good right? Looks like an awesome save to me. I’m a big fan of floats for fine tuning tenons (mortices, too), so how about a publicity shot of your float? Bring on the hero of the hour!